W Properties – Need Help Selling a House During Divorce? 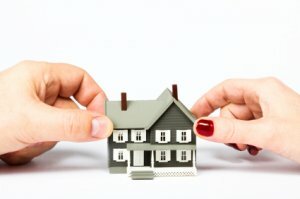 Need to sell a house during divorce? W Properties can help with an as-is, fair cash offer where you pay ZERO fees/commissions and do ZERO repairs/cleaning. A house is often the LARGEST investment people make in their lives. We are talking $50,000, $150,000, and even $500,000 or more. Wouldn’t you want to make sure that investment was fairly and quickly divided? Whether you bought your house after you got married or before, that investment…your house IS tied in with your spouse. You and your spouse have to decide what you will do with the home. MAKE SURE you know the risks with each option. We explain these below for you. If you do decide to sell your house, W Properties is here to help. We can buy your house as-is, for a fair price, in a matter of weeks guaranteed, with no repairs or cleaning or fees/commission. We make it EASY to turn your house into cash so you can both move on and complete your separation without leaving a house connected to both of you. You have options for selling a house during divorce. Don’t worry, we can help you figure it out. You have THREE basic options when it comes to handling a house you own with your spouse and going through divorce. Given that your house probably has a LOT of money tied into it, please consult your attorney and spouse before making a decision. When you do decide to sell your house, we can offer you an EASY way to sell without stress, hassles, fees/commissions, or repairs/cleaning. Use a Real Estate Agent – If you do this, you won’t know how long it will take to sell, you’ll have to make repairs, and you’ll pay for commissions and closing costs. Depending on how long your house takes to sell and how many mortgage payments you have to make you MIGHT make more money this way. Sell to W Properties (that’s us!) – We can buy your house as-is and cover all closing costs and fees for a fair price. You don’t have to clean anything or even lift a hammer to repair a thing. We agree on a price and a couple weeks later we close at a local title company where you get your cash. One spouse buys out the other – One of you can buy the other person out of their percentage of the house. You’ll need some cash or try to refinance the house to make this work. It is tricky but can be done. Those are your basic options when it comes to selling a house during divorce. As you can see, some are easy, some are risky. If you have questions of how selling a house during divorce will work, please contact us today (405-673-4901). You can also have your attorney contact us directly. We work with attorneys in lots of cases from bankruptcy to probate to divorces. If you aren’t sure what you want to do with your house, but want to explore options, call us today and we can help you explore the option of selling your house to us. Once we get some more information on your house and do a quick walkthrough, we can give you an exact offer. Need an attorney? Here are a few around Oklahoma City that handle divorces.